← 7 Days of Blast Off Space Printables! We love changing up our themes during the year. We use the sight word cards all the time. They are fun to use, and my girls love the building mats. Our latest theme is Space! It is a great themed that can be used all year. Plus is ideal for those space lovers at your house! I know that my girls love changes in themes for learning. We are doing a week to space and this just works out perfectly with our learning. Plus it matching up nicely with other space themes on the site. I love using cards this way. 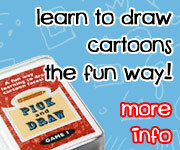 It is fun for kids and makes it a fun hands-on learning. You get to read the card, write the word and build the word. It gives them three ways of learning the word. There are 8 cards on each page. Each card has a different planet on it. These cards match up with the Planet Learning Pack. For the cards, we are going to use several times, I laminate them. Each set has a Read, Write, and Build mat in them. They are tons of fun to use. You can mix in other cards to use on this mat as well. I laminate this mat if I don’t have laminating pouches , I put them in sheet protectors . We used lacing lowercase alphabet beads to make our words. Here is a look at how we set up the area to work on. It makes it fun to limit the words to ones they might need extra help on. Plus After we are doing I can put the letters and cards in the sheet protectors and store them for use another day. The Space Theme Dolch Sight Words & Nouns Bundle has 51 pages. It is $5.50 for the whole set. The Space Theme Dolch Preprimer Sight Words set has 6 pages. It is $1.25 for the whole set. The Space Theme Dolch Primer Sight Words set has 8 pages. It is $1.25 for the whole set. The Space Theme Dolch First Grade Sight Words set has 7 pages. It is $1.25 for the whole set. The Space Theme Dolch Second Grade Sight Words set has 8 pages. It is $1.25 for the whole set. The Space Theme Dolch Third Grade Sight Words set has 7 pages. It is $1.25 for the whole set. The Space Theme Dolch Noun Sight Words set has 15 pages. It is $1.50 for the whole set. This entry was posted in learning to read, store and tagged cards, printables, sight words, space, tpt. Bookmark the permalink.